There is obviously nothing better than fresh fish on a beach vacation. If you disagree, then you’re wrong. 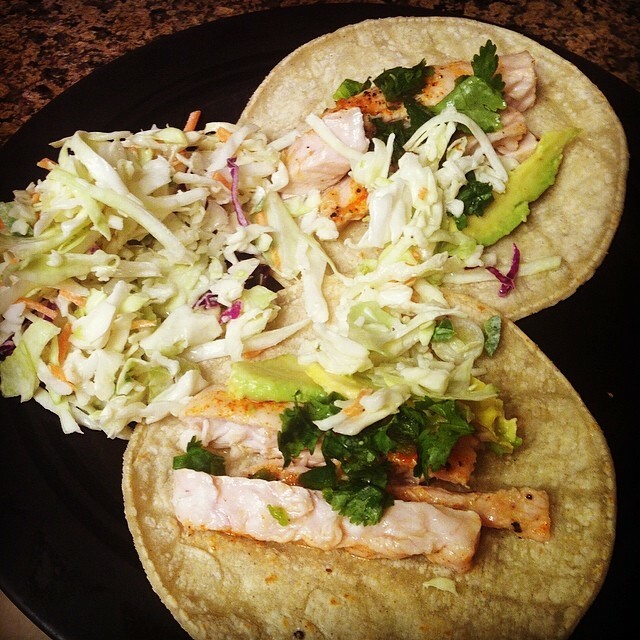 Seeing as I was spring breaking in Destin, Florida and The Kitchn recently posted a recipe for a quick weeknight meal of fish tacos and quick cabbage slaw, I decided to take full advantage of the caught-that-day fish available at any local grocery store. Keep reading for the full recipe! I’m going to brag a little bit about these tacos because, 1) I made them all by myself and 2) I had to work with limited ingredients, being on vacation and all. They totally hit the spot (maybe something to do with the FRESH FISH? ), and, as the The Kitchn promised, were a cinch to make. Squirt fresh lemon and lime juice. Season fish with salt and pepper, paprika, Mrs. Dash and lemon and lime juice. My brother was throwing some steaks on the grill, so I went with grilling over pan-frying. I wrapped the fish in foil and he grilled them for about 10-15 minutes. Mix jalapeño, green onions and bagged coleslaw mix in a large bowl. Whisk mayo, honey, garlic and lime in a separate bowl. Add the mixture to the slaw and there ya go! (Tip: the bagged coleslaw makes a ton so you may need to add more or less of the may mixture, depending on how much slaw you want to make.) Place fish, avocado, cilantro, salsa and lime juice on a corn tortilla. (I added some slaw to my tacos too.) And that’s it! The easiest fish taco recipe ever. 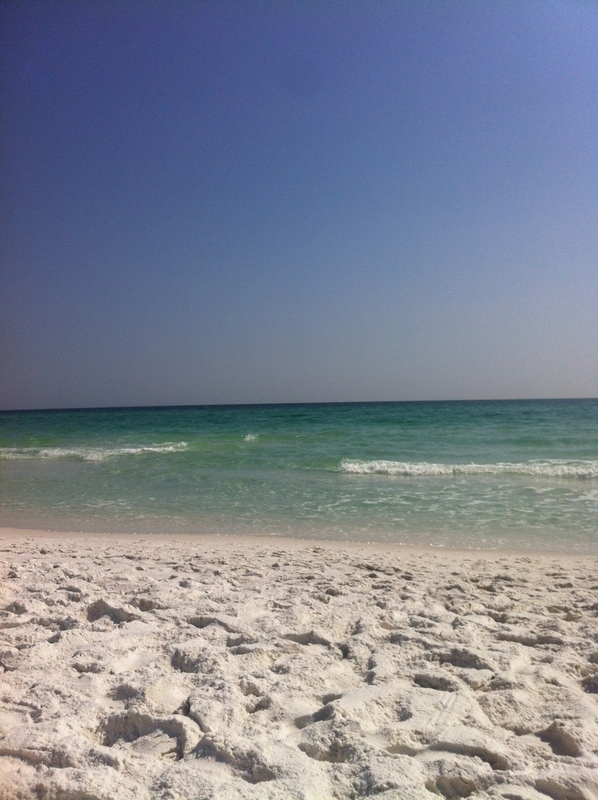 Oh, and here’s a pic of the gorgeous beach, just for good measure and to make you all jealous. of the responses come across like they are coming from brain dead people? :-P And, if you are posting at other social sites, I would like to keep up with you.